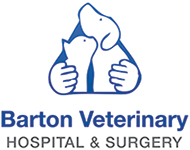 At the Barton Veterinary Hospital & Surgery, we value our nurses. They are registered to the RCVS which means they are recognised professional, having undergone years of training. They keep up with their CPD (continuous professional development) requirement and are always eager to introduce new services within the hospital. Our nursing team is paramount to the care of your pet. You can consult them regarding all sorts of questions you might have about your animal. We offer senior clinics to cats from eight years old. Five years for large/giant breeds. Eight years for the other breeds. We’ll give your pet a proper “top to tail” exam, where we look for early signs of kidney/liver disease, arthritis, dental disease and tumours, blood pressure. It can also includes blood and urine tests. Your pet’s long-term wellbeing is our first priority, so, if we are concerned with any of our findings, we will refer you onto a vet. Essential to your puppy’s successful integration into the larger pack outside your home. He or she can meet other pups and get used to strangers. There are also talks on behaviour, diet, neutering and basic first aid, among other topics. The puppy parties are a great way to take away the stress of coming to the practice later in dog’s life. Dogs who come to our puppy party enjoy coming to see us and it makes a huge difference when we need to examine them or have them in for procedures. Less stress for the animal, the owner and the vet is what we aim for.